As NFL free agency unfolds, everything's being watched for some kind of tip as to who's going where, even Twitter habits. So, when Patriots running back LeGarrette Blount tweeted that he was going to Arizona today, Twitter thought he was going to the NFL team in Arizona. 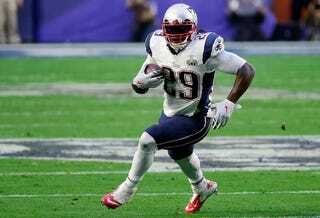 Blount's still under contract for another year with New England, so he can't be signing with the Cardinals. Is he getting traded? Nope. That was fun for a minute.